According to historical records, the site where Saint-Rémy now stands was first built on in 1 AD. The present town, founded during the sixth century, takes its name from the ancient Abbey of Saint-Rémi, under whose protection it was held. Headed by a Mayor, this pretty town with its smart residences is one of the 119 communes in Bouches-du-Rhône. The splendid Musée des Alpilles and 18th century Collegiale Saint Martin church are among this artistic town’s noteworthy attractions. Within walking distance, lies the old ruined town of Glanum. Luxurious villas and high-end apartments line the cobbled streets of Saint-Rémy. 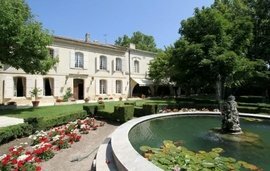 Dotting the Saint-Rémy countryside are sumptuous bastides, Provençal mas and flourishing wine-producing estates. In the town’s old quarter, you can buy beautifully restored stone houses or rent a medieval mazet. 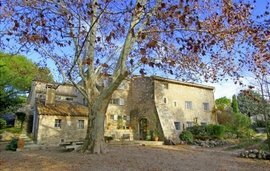 Les Baux des Provence, known for its ruined castle has elegant villas and Renaissance mansions. 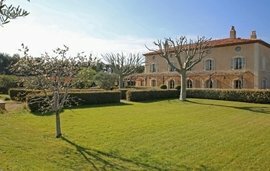 Set amidst olive groves, magnificent Saint-Rémy mas offer panoramic views of the countryside. 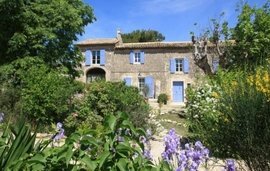 At Gordes, home to an impressive 10th century chateau, you will find luxury villas with terracotta tiled roofs. 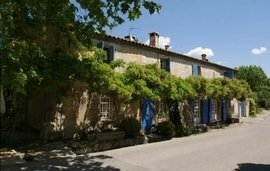 On the outskirts of the village, are dry stone houses surrounded by expansive lavender fields. 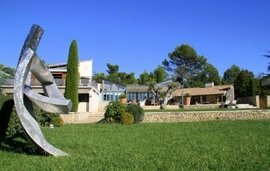 Let us assist you in finding your perfect villa, apartment, holiday home or investment property in St. Rémy – Les Alpilles, France. 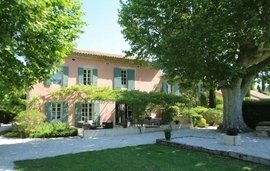 For more details, call us on + 44 (0) 207 870 7181 or contact our estate agents in France. Renowned for its distinctive olive oil, this lively town with its classy museums, art galleries, music festivals, markets and celebrated local traditions, provides its’ residents with year-round entertainment. On Wednesdays, visit Saint-Rémy’s vibrant and colourful street market, popular throughout Provence. The Organa festival, during which international organists perform, is worth attending as is the annual Fête de la Transhumance, with its sheep parade, Shepherd’s lunch and fascinating flea market. To reach this quiet town from Marseille (Saint-Rémy’s closest airport is here), take a train to Avignon or Arles and then board a bus to Saint-Rémy. Alternately, use Provence’s excellent motorways. Buyers of all nationalities are attracted by the excellent quality of life. Breathtaking scenery, gastronomy and a pleasant climate. Ideal location for those seeking a quiet country life. 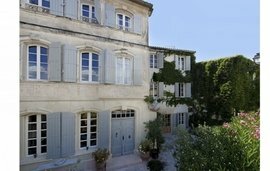 Winkworth International has a comprehensive portfolio of quality properties in Saint-Rémy and would be happy to help you buy a Saint-Rémy property. Contact us for your requirements.